Market Square Presbyterian Church's Session voted unanimously in 2011 to adopt the Central Pennsylvania Oratorio Singers as part of the Music Ministry of the church. Prior to 2011 CPOS was a Music outreach program of Grace United Methodist Church, Harrisburg. CPOS welcomes Brett A. Terry as conductor and director. We wish to thank Eric R. Riley for his five years of service, his passion and technical excellence, and his loving care while the CPOS transitioned from Grace United Methodist to Market Square Presbyterian Church. 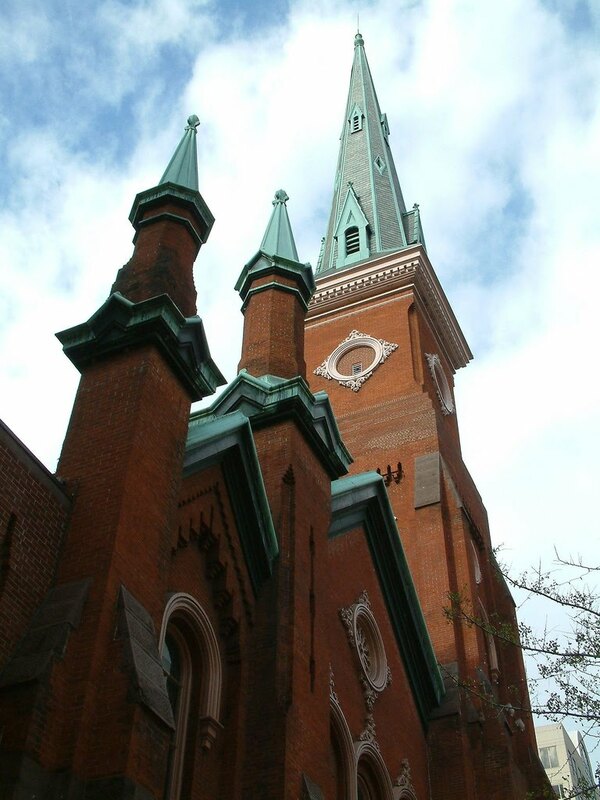 CPOS has moved to Market Square Presbyterian Church under the direction of our new conductor, Eric R. Riley. We wish to thank the membership of Grace United Methodist Church, Harrisburg PA, for their many years of hosting the CPOS! We extend our deepest gratitude to Dr. Ron and Beth Sider, who have given so much of their love and tender care to the formation and growth of the CPOS. Through their leadership and dedication the group has been able to bring great masterworks to life for many thousands. Please join us in our prayers of thanksgiving for Ron and Beth, as they enter retirement.